Come join us here for a Question & Answer Forum to discuss her exciting job as a researcher for our favorite network. This is the thread where you will post your questions for Alexa Foreman! 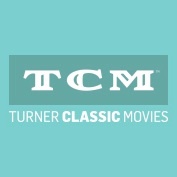 Alexa Foreman has been employed as a researcher at TCM since the network began airing uncut and commercial free classic movies in the 1990's. She works with Robert Osborne and Ben Mankiewicz on a daily basis, and when someone can't find some information or needs to know how many Oscar nominations a film has earned, or how many husbands Elizabeth Taylor had, she is the perky go-to-gal. Foreman, whose motto just might be Sergeant Joe Friday's most popular sound byte "Just the facts, Ma'am," has been an employee of Turner Classic Movies since its initial broadcast in 1994. This week we have a special treat for movie lovers. 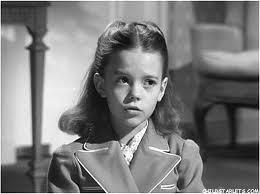 I had the pleasure of interviewing Turner Classic Movie’s Senior researcher Alexa Foreman. I think all classic film lovers enjoy TCM hosts Robert Osborne and Ben Mankiewicz as they introduce our favorite classic films with a great story about actors like Audrey Hepburn and Steve McQueen, or behind the scenes tales of a movies turbulent production. Alexa’s job is to gather the film facts for the script writers and Robert Osborne. Alexa then double checks the final script, edits it for typos and adds any updates (deaths, Oscars or info since the last time TCM showed the movie). She does this for all the intro and post-film segments we see on TCM. 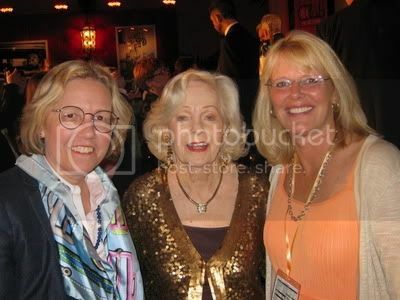 I met her last year at TCM Classic Movies Film Festival 2012. At the same event this year we got together for a nice long talk about movies. So when it came time to do this “Women in Entertainment” series, I asked Alexa and she quickly (and graciously) agreed to be part of it. Paul Booth: What movie made you know you wanted to spend your life involved with the history of Film? Alexa Foreman: There was no single movie that did it for me. I saw classic movies on tv in Atlanta growing up and loved stars like Bette Davis, Paul Muni and Tyrone Power. Since those movies were not on video or playing in theaters at that time, I read everything I could on the history of the movies. 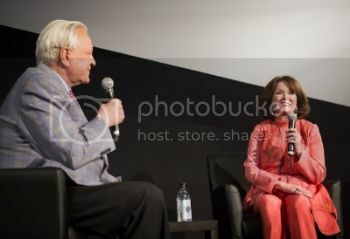 ABOVE:Robert Osborne and Alexa Foreman discussing The Last of Sheila during her Guest Programmer appearance. PB: Is there a Film you feel everyone should see? Even if they don’t like it, meaning the movie holds such a significant achievement in filmmaking? AF: Again, there is no single movie but for significant achievement in filmmaking take a look at CITIZEN KANE (1941), NAPOLEON (1927), BLACK NARCISSUS (1947), SUNRISE (1927), GOLD DIGGERS OF 1933 (1933), and THE WIZARD OF OZ (1939). And please see these on a big screen if possible. PB: Do you have a favorite Genre/Studio/Studio-head or old studio director like Wilder, Capra, Ford or Hawks? AF: Screwball comedy is my favorite genre. THE AWFUL TRUTH, LIBELED LADY, BRINGING UP BABY, IT HAPPENED ONE NIGHT, BALL OF FIRE. I can watch them over and over. RKO is my favorite studio -– and not because of Astaire and Rogers. The filmmakers and technicians did so much with so little. Producer Val Lewton and others paved the way for film noir with pictures set in night time and/or rain. They did it out of necessity to hide the fact that there was no big background set behind the action. Directors that I love include William Wyler, Orson Welles, John Cromwell, Fred Zinnemann, Terrence Malick, John Frankenheimer, and I am sentimental about Ida Lupino’s efforts. PB: How do you feel about the progression of “women in Film or television” as directors? (or Producers)? AF: Well, I am glad that they are finally back!! The early days (1895 to 1930) were the great days of women directors, writers and producers until big financiers saw that there was money to be made and the women were gradually driven out. PB: With the progression of digital cinema, do you ever feel it makes TCM’s job more important or do you feel TCM will transcend? AF: We need to save and preserve older movies before we worry about the industry’s new formats. TCM will go on no matter which source we mine our jewels from – print paper, celluloid nitrate, videotape, DVD, etc. We show movies from the silents all the way to the present. Along with our most popular movies, we are always looking for lesser known gems to show, and thereby generating interest and reaction from our TCM audience. As to digital technology, our sharp eyed viewers appreciate the quality and texture of film –- from the dissolves and the scratches all the way to the circle in the right hand corner of the frame signifying a coming reel change. I know movie theaters are facing a challenge with this and I hope they will survive this latest technology. PB: What quote or message would you like to give your fellow “Women in Entertainment” out there pursuing a goal or in the business already? In addition to Booth's wonderful article in INFLUX about Foreman's background and experiences with the network, I was able to find out a little more information about her varied trials and tribulations. As I was chatting with Foreman earlier this month, she revealed to me even more about her experiences with Turner Class Movies. One of her most difficult challenges occurred in 1994 when she was assigned the task of discovering "exactly" how many films John Ford made with John Wayne. Since there was no all-encompassing internet database access like there is today, Foreman states it "was a half day of work." The research she was required to do for the 31 Days of Oscar a few years ago "nearly killed me!" "Movie research," Foreman claims, "is like a puzzle or a mystery that I have to solve every day." And for the recent TCM Tour of famous New York City film locations, she learned that " none of the footage from The Seven Year Itch in which Marilyn Monroe stands over the subway grate is in the picture. The footage was shot but Billy Wilder knew the crowd noise from the NYC crowd would make the footage useless. But what a way to get publicity! Wilder was a smart self-promoter. The footage you see in the movie is shot on the Fox back lot!" Foreman even secretly admits that she once, while preparing for an Osborne script, quickly called a screenwriter to listen to his answering machine so that she knew how to properly pronounce his name correctly because no one else could find out. So it would seem her experiences are not that far removed from a detective like Sgt. Joe Friday or Sam Spade. says to Cary Grant after seeing his not-so-talented girl friend perform at a night club: "I guess it was easier for her to change her name than for her whole family to change theirs." She also favors Humphrey Bogart's line from In A Lonely Place when he claims 'I was born when she kissed me. I died when she left me. I lived a few weeks while she loved me.' "
Robert Osborne interviews classic film celebrities like Ann Blyth. Ms. Foreman would like me to share with our readers that "I have been at TCM since the very beginning, so don't be shy about asking any questions...old Star of the Month pieces, documentaries, the Munchkins, anything!" The Silver Screen Oasis is proud to welcome esteemed archivist Alexa Foreman, Senior TCM Researcher, who has been part of the award-winning behind-the-scenes team of Turner Classic Movies. Re: WELCOME TO THE SILVER SCREEN OASIS, ALEXA FOREMAN! Alexa, thank you so much for meeting with us! We share some of the same favorites--Wyler, Zinnemann and Frankenheimer are way up on my list, too. Which films from these directors do you particularly admire? What characteristics make them special to you? As for John Cromwell, I'm very fond of his two 1947 films, the film noir Dead Reckoning, which TCM showed in an absolutely stunning print, and the unheralded Night Song, which has a following on this site. Are these among your Cromwell favorites, too? I'll bet quite a few of us have fantasized about working for TCM. Thank you again for taking the time to chat. Welcome Alexa, TCM is far and away my favorite channel and really the only reason that I still have cable. I was blown away by the first chapter of THE STORY OF FILM. What a great documentary. Very much looking forward to Chapter 2, especially as it covers the 1920's. So pleased that you picked up this great documentary series. Never expected it to be this good. I may have to purchase the series now. Even more thrilled that after 9 years we will finally be seeing the restored version of King Vidor's Masterpiece THE BIG PARADE (1925) my favorite movie Silent or Sound in Prime time on the 25th. I pre-ordered the DVD and Blu-ray several months ago. I was wondering if there was a chance that TCM might pick-up the recently restored (LOC) RAMONA (1928) with Dolores Del Rio and Warner Baxter? This film a huge hit in it's day, basically has not been seen since it's original run. Considered lost for decades. Must admit it is a film that I never thought that I would ever get the chance to see. Would be interesting to see it, and the 1936 Technicolor version with Loretta Young, as I have never caught that before either, although I believe it has been broadcast a time or two? Also very excited about the Colleen Moore restorations in the works from Warner's. A long time coming to be sure. All indications are that those will be airing on TCM, probably in the first half of next year, but I hope it will be sooner then that? Never expected to sit down and watch METROPOLIS tonight, I have seen it many times. Ended up watching it all again from start to finish. Wonderful to see in Prime-time. Here is a thought, how about putting WINGS on The Essentials one of these seasons? Another film, not a Silent I would like to see considered for The Essentials is THOROUGHLY MODERN MILLIE. It just seems to me that the series has become to repetitive, no matter who the guest host is. You need some new movies. There are many Silents that TCM does not show for whatever reason? A few of these being Ernst Lubitsch THE MARRIAGE CIRCLE (1924), Herbert Brenon's PETER PAN (1924), Murnau's FAUST (1926), the Von Sternberg''s, UNDERWORLD (1927), THE LAST COMMAND (1928), and THE DOCKS OF NEW YORK (1928), DeMille's, THE TEN COMANDMENTS (1923), and CHICAGO (1927), and a great personal favorite Frank Borzage's SEVENTH HEAVEN (1927). But I hope you will still air these at some point as all have been on DVD, and some even on Blu-ray. It's been a tremendous year all around on TCM. The specials, the Star of the Month tributes. Many premieres. Just wonderful. This months schedule with the the Story of film highlights, and the Hitchcock Silents and all, is truly spectacular. Keep up the outstanding work! 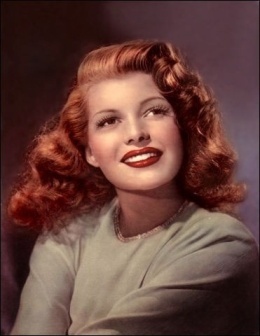 What would be the easiest way for a fan to submit a request to TCM Programming - I have been wanting to see RITA HAYWORTH when she was really young. movies like Who Killed Gail Preston, Girls Can Play, The Inspector, and The Shadow - and Charlie Chan as well. How a fan like me to submit a request? What TCM really needs is a month of Films of Stars before they became Stars - Imagine getting films in the 20's, 30's, and even in the 40's - of films before they became Household Names. That's is what I really wanted to see someday in TCM! And Breakout Movies, just before they reach SUPERSTARDOM - For example Rita Hayworth in Blood and Sand - that's really what this fan really wants to see - A Breakout Movie/Superstardom Role that shaped their lives forever. What - I'm trying to do is to ask you how a fan submit PROGRAMMING REQUESTS to TCM? Anyway, I loved TCM and I often watch it religiously about 20-30 hours of week and I just wanted to say thanks for entertaining us and I appreciate the good work that you guys been doing. The real surprise in the past three years - is Robert Osborne teaming up with Drew Barrymore doing the ESSENTIALS together. I did not expect Drew Barrymore to be that good and the pairing of these two great personalities in the ESSENTIALS has been nothing short of being MAGICAL. if ever get a chance to speak to both OSBORNE and BARRYMORE .... please tell them thanks for doing an excellent work on the ESSENTIALS! And, thanks for taking the time to respond to these thoughts that I shared with you! Another of the SSO members and I have been searching for years to find out the name of a lovely young woman who appeared in several of the MGM musicals. She never had lines, and was (in my opinion anyway) chosen for her pretty smile to 're-act' to whatever was going on. Her best scene was in the Trolley Song number in Meet Me In St. Louis (I can hear our members groaning right now, they've heard me on this so many times). She is sitting next to Judy Garland, we call her the Lady in Blue. When Tom Drake appears, she looks over her shoulder then smiles and gives him her seat. I don't have the tech savy to enlarge the photo without making it fuzzy. Please, won't you put me out of my misery???? 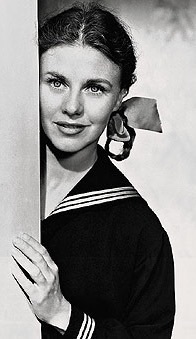 A May 2012 post in the discussion on the Judy Garland Message Board identified her as Charlotte Hunter, a contract dancer and dance coach at MGM. Perhaps Ms. Foreman might be able to confirm that. Welcome! I know that you have a busy schedule, so thank you for spending your free time with us at SIlver Screen Oasis. I'd like to know the most unusual or astonishing thing that you've learned about any celebrity of the "golden era" in the last year. Also, who would be your "holy grail" guest to appear on TCM in the near future? Thank you all for these wonderful questions and comments! Did Professional Tourist actually help us solve the mystery of the Trolley woman in blue? Wonderful news! Alexa Foreman will be with us soon, and we might want to remember that her areas of responsibility at TCM are focused on research, but not programming. Ms. Foreman obviously has first-hand knowledge of the "inner-workings" at TCM, but she is not always involved in questions concerning programming. I am just as excited about all the new screenings for the coming year, and hope Alexa will help enlighten us about all aspects of TCM that she has experienced, and feels comfortable sharing with SSO members. Yes ! Crazy about John Cromwell - I am sure that you know he is the father of James Cromwell and was married to Kay Johnson ( a favorite of Cecil B. DeMille's). I love the two you mentioned and also love Jalna (with his wife) and The Prisoner of Zenda. He was blacklisted unfortunately and went back to theater in NY. Wyler I love for his emotions - he may have been a tough, short German, but who can beat The Best Years of our Lives and Roman Holiday? Zinnemann came up from the shorts department and his style is very documentary-like. I love Teresa, From Here to Eternity, etc. and like Wyler, he did a musical (!) Oklahoma (Wyler made Funny Girl, of course). Bless you (as Joan Crawford would say) for loving the silents. I don't want to make anyone angry, but I LOVE Garbo in silents. You really don't need to hear her speak - she is exquisite. Thanks for the feedback on The Story of Film. I know that the Ft Lee NJ group was not happy since Ft Lee was not mentioned, but it is ambitious to tell the story of film - even in 15 parts. I love The Big Parade and have gotten to be a friend of Leatrice Gilbert and was privileged to see the movie with her. Her father was amazing as was King Vidor...who is a great segway into Collen Moore (I am sure that you have read CAST of Killers). She was lovely and later wrote a great book that I have entitled How Women can Make Money in the Stock Market. Let's see - most of the movies that you mentioned are from Fox or Paramount and we need to license them to show them. I need to look back because I feel like we have show The Docks of NY. The Essentials - we try hard to put new titles in and will keep trying. Romona I will check on, I think I hit all the questions. And thanks for watching Gagman66. We love our viewers. I just finished the Glenn Ford book last night as a matter of fact. Have you heard Robert Osborne talk about her? As far as programming, we love hearing from you. I sit near that department and if you would like to submit a list of titles to me through the Silver Screen Oasis, that would be great. I could check back to see what is submitted. Also you can write to me in care of TCM, 1050 Techwood Drive, Atlanta, GA 30318. Blood and Sand - again a Fox title so we will have to license - which we are doing more and more. We have been showing a lot of Columbia titles - including early Glenn Ford and some Rita. I am thrilled to tell you we will be showing LAURA finally so each month, more and more Fox, Paramount, Columbia and United Artists. Thanks, Rita, for taking time out to contact me. Ah you make me think of Roz Russell in The Women kitting furiously during the Technicolor fashion show. I know that Dorothy Raye is there in the picture and we have interviewed her. I need to blow up your picture and get a clearer view. And I am sorry if there is groaning out there in cyberspace. I have to identify people all day in old stills. Movies keep these unsung extras or bit players alive. I will report to Sue Sue about the mystery woman on Monday or Tuesday. Alexa, as just reported by one of our intrepid posters here, Professional Tourist, the mystery gal is currently identified on the Judy Garland Message Board as Charlotte Hunter, a contract dancer and coach at MGM. Any more information would be fabulous! Knitty and Marco, two members here, have been searching in vain for years. Thank you. Yes, Sue Sue, and John Fricke posted into that discussion (linked in my previous post) that the woman in blue is definitely not either of the two Dorothy's -- Dorothy Tuttle Nitch nor Dorothy Gilmore Raye. There are some larger images of the woman in blue posted in that discussion, also. Speaking of The Women......and the Countess, LOVE Mary Boland. She was always good. I have learned a great deal in almost 20 years. Here are a few things that I have. People today forget about life before television. Before television, there were movies and radio and newspapers. How exciting to see the newest Garbo or Mabel Normand picture! Imagine waiting to see what people in the news SOUNDED like in your local movie theater when you saw a Fox Movietone or Pathe Newsreel. How thrilling to hear Charles Lindbergh speak! 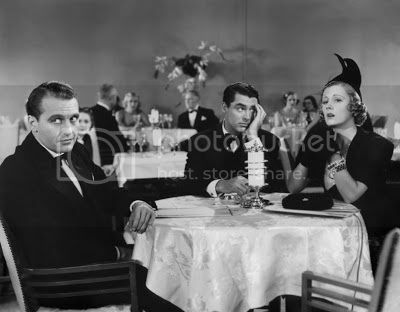 What about waiting for the latest Thin Man movie or the latest Clark Gable Bette Davis or Buster Keaton picture? And the size of the marquees outside advertising the picture playing? Just wonderful. Okay now I have to admit I work at a televison station so SOME tv is good, right? Another interesting fact is movie stars and the camera. You hear all the time that stardom is a factor of whether the camera LOVES you or not. Robert Lees, who was at MGM in 1932 making a living as a chorus boy, told me that in As You Desire me, he was the actor who was cast to help Garbo into a gondola. He said she came onto the set, and she projected nothing...absolutely nothing! But when George Fitzmaurice said "action" and the camera started rolling, there was an electricity and a magic that went through her. He said it was amazing. What a nice man he was. He was blacklisted later and had to work as a maitre d in a restaurant in Nevada. Sharp readers will remember his name in the credits as a screenwriter for Abbott and Costello. Joe Newman - a sound man and later director reminded me that Hollywood worked SIX days a week. Seven if needed before the Screen Actors Guild. He told me that Irving Thalberg called him up on a Sunday and he and Thalberg went out and shot retakes for San Francisco. Wonder where W.S. Van Dyke (the director) was that day? One more - don't want to put you to sleep - but Ann Doran- wonderful bit player and a favorite of Capra's - she's in almost as many movies as Bess Flowers - told me that Hollywood was so tiny in the old days that Frank Capra was shooting on Christmas Eve and he suddenly needed Ann and she was off that day. One of his crew was able to track her down Christmas shopping in downtown LA, and get her back to the set to finish the work. Thanks, Countess. I hope that is the kind of info you are looking for.